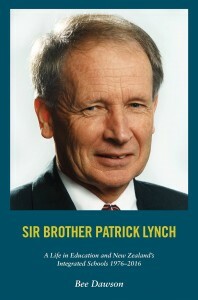 When young Pat Lynch was growing up in south Auckland, helping his father in the garden and enjoying the beach with his siblings, little did he know that in his future he’d be influencing politicians of all persuasions, and even a prime minister or two. This book tells the story of his path through New Zealand’s education system. Starting as a De La Salle teaching Brother, he eventually became involved in smoothing the way for the integration of church schools into the state system, and doing his best to make sure all were dealt with fairly and equitably.